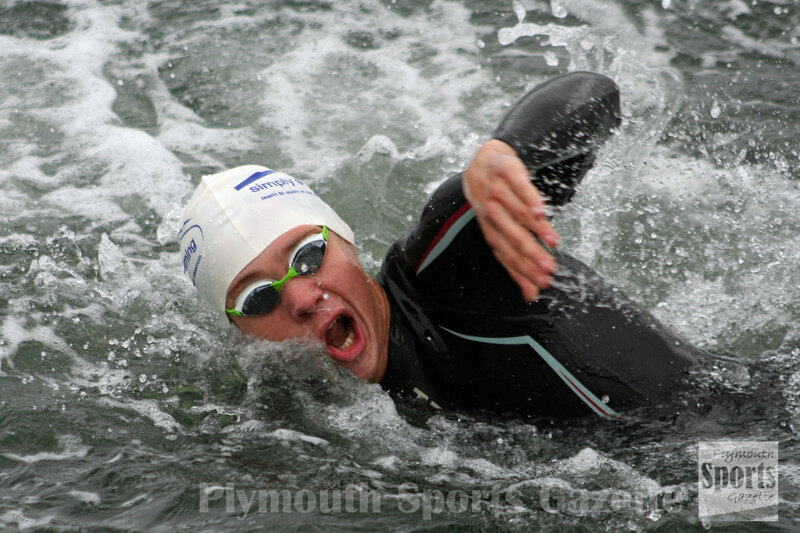 GREAT Britain paratriathlete Steve Crowley produced an impressive performance in tricky conditions at the Plymouth Open Water Aquathlon. Devonian Crowley was using the event at Mount Batten as a warm-up for Friday’s Paratriathlon World Championships in Rotterdam. 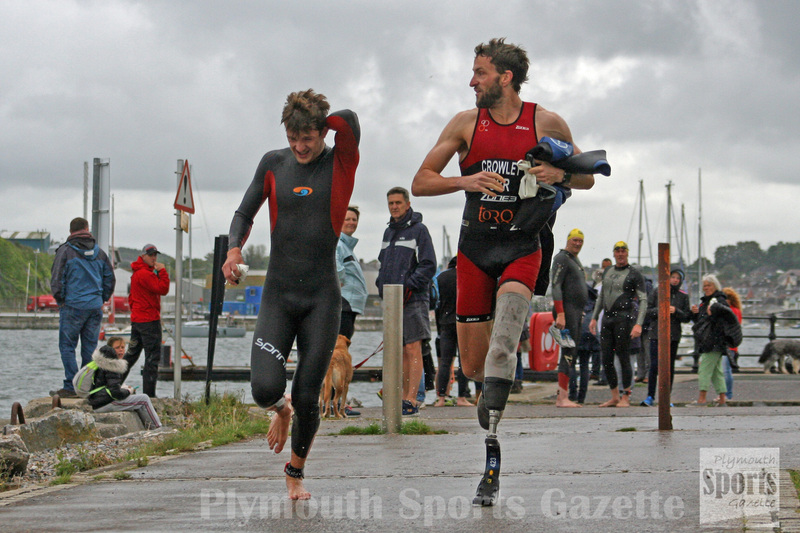 Iraq veteran Crowley, who lost his lower left leg in an explosion, showed he is in good form for the competition in Holland by finishing second overall in the sprint distance aquathlon in Plymouth on Sunday. He clocked 36 minutes and 39 seconds for the 750m swim and 5k run. He was only beaten by Lee Carter, who clocked 34.26 minutes. Third overall, and first women, in that section was Teddington’s Amy Wilkinson, who finished in 37.08 minutes. 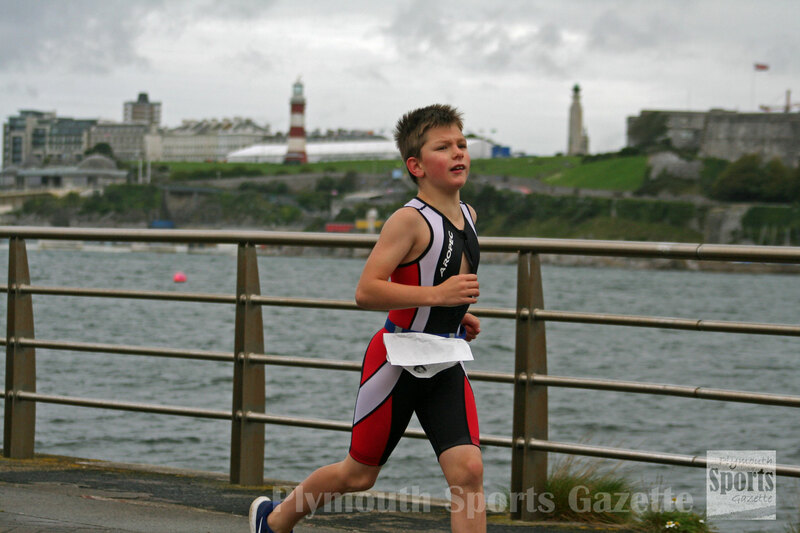 There were nine different races at the Plymouth Aquathlon, catering for all ages and abilities. 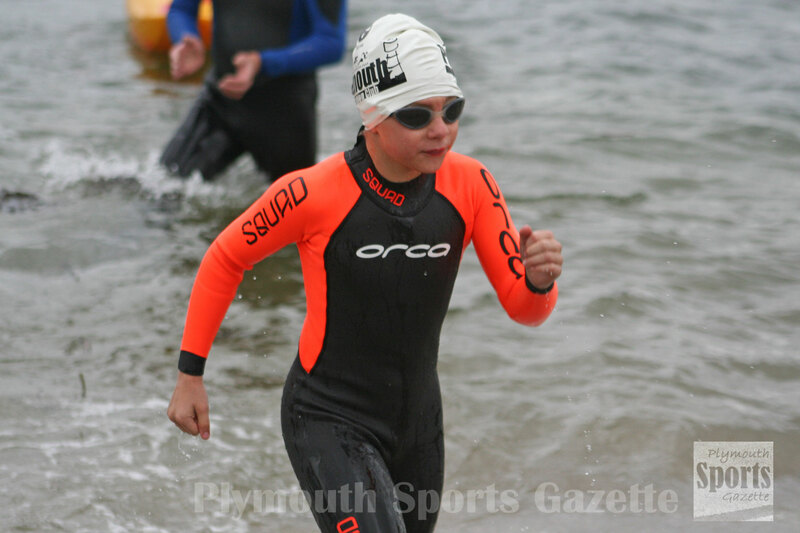 The standard event – a 1,500m swim and 10k run – was won by North Devon AC’s Jack Hutchens, who clocked 1:01.42. Teignmouth’s Don Brooks was second in 1:02.51, with Rob Yardling third in 1:09.45. Tavistock’s Sam Lake won the women’s standard race in an impressive 1:12.59. Second female was Heather Nicholson in 1:21.41, with Plymouth’s Anna Russell third in 1:22.41. Mark Henry took victory in the adult super sprint race in 22.09 minutes, with Plymouth Tri Club’s Anna Linsley first women. There was an impressive display by South West Academy athlete Sian Temple in the junior event. She beat all competitors, including the boys, to win the 750m swim and 5k run in 34.54 minutes. Caradon Swimming Club’s Jackson Spry won the youth competition (750m swim, 4k run) in 30.26, ahead of Plymouth Leander’s Jude Davies (33.41). Plymouth Leander’s Megan Cragg was first girl in the Tri Star 3 event (400m swim, 3k run) in 22.01, with Exeter’s Tomas Piskac first overall in 20.51. Zak Clemens, of Gyllyngvase, took victory in the Tri Star 2 race (250m swim, 2k run) in 11.59 minutes, with Newton Abbot’s Felicity Lamont-Tuckett first girl in 14.14. Tri Star 1 (150m swim, 1,500m run) was won by East Devon’s Henry Birchall in 11.25 minutes, with Plymouth Leander’s Verity Braine first girl in 13.04. Tavistock’s Miley Lake claimed victory in the Tri Start event, which was a 50m swim and a 600m run.